Email us at info@caspermountainbiathlonclub.org if you are interested in attending any of these opportunities. Thanks to a grant from the Dept. 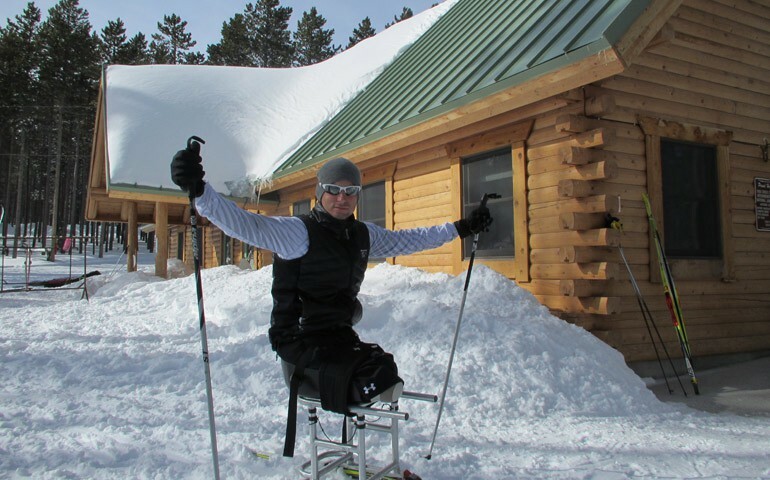 of Veteran Affairs, financial support is available for any Veteran or Active Duty athlete with disability. Thank you CMBC. The introduction to the sport of biathlon and continued support with my training goals has given me a gift that I cannot repay. 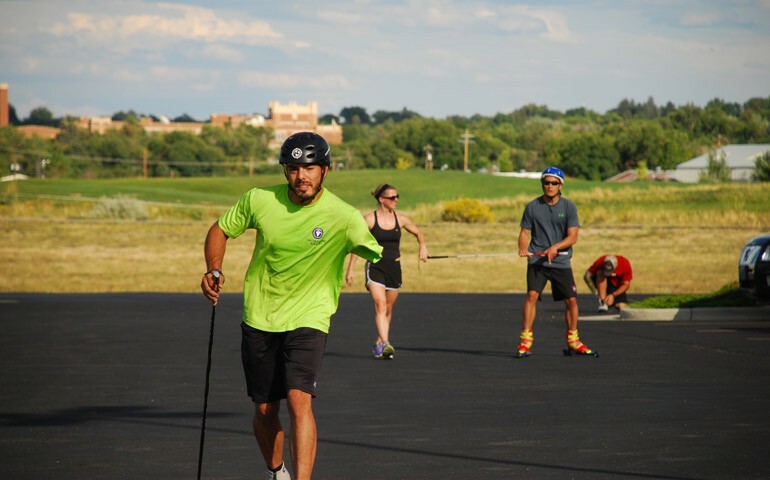 When I lost my ability to walk after my injury from an IED, you helped me replace my love of running with a greater love for biathlon. The loss of running bothered me a great deal, running was my outlet for my emotions and how I always managed my life's problems and ADHD. I was lost with such an injury to my mind, body and my ability to cope with it, was taken so quickly. I was on many medications drinking and chewing my way to an early grave. Now when I look at my fellow soldiers, instead of leaning on them, I have an inspirational story to tell. A way I can repay so many who tried to help back. I am now able to sleep most nights, and [adaptive biathlon] has given me the tools to fight my fears hyper vigilance. I have become a loving husband and father. I am able to be there for my family when they need me. To go into public without the fear of the people around me. To watch my daughter play sports and be involved in school activities, with me paying attention to her and not my surroundings. I have achieved great goals that few athletes get to accomplish. To compete at the Paralympics is a dream come true. 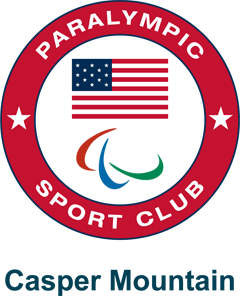 Paralympic Biathlon combines cross-country skiing and air rifle shooting similar to the Olympic biathlon competitions. 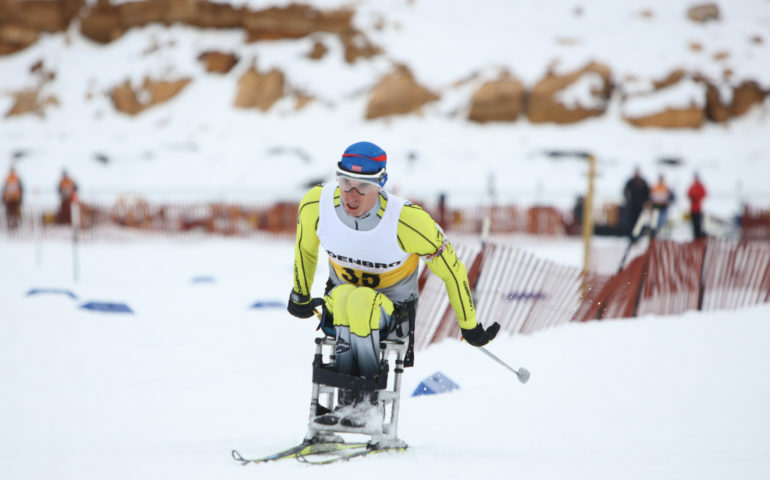 Athletes are categorized as standing, sit-ski or visually impaired and compete against athletes with similar disabilities. Paralympic athletes always shoot in a prone position.The Biathlon event takes place on a 2.5-km loop, which is repeated five times for a total of 12km (long distance) and the pursuit event. Athletes stop for two or four shooting sessions along the course. They are given five shots and are required to hit a target positioned at a distance of 10 meters. 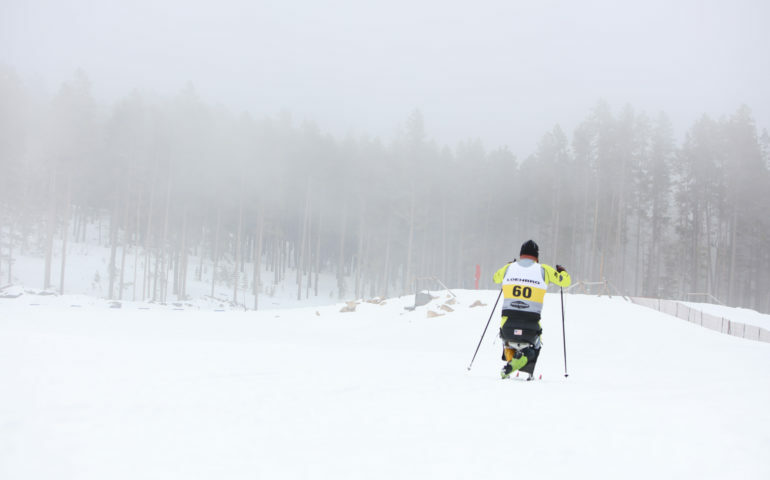 The penalty for a missed shot can be a time penalty that is added to the total time or a penalty loop (150m) to ski once per missed shot. The top ten athletes in the qualification round compete in the finals which are organized as a «pursuit» start competition. Athletes start according to a preset formula based on the results of the qualification round and the handicap percentages in the different categories. The athletes ski a short loop (about 1.3 km) three times, stopping twice for shooting. For each missed shot, the athlete must ski an extra 80 m penalty loop. The skier that passes the finish line first is the winner. Athletes with visual impairment shoot with an electronic audio rifle that allows aiming by hearing. The closer the rifle points to the centre of the target, the higher the tone is. 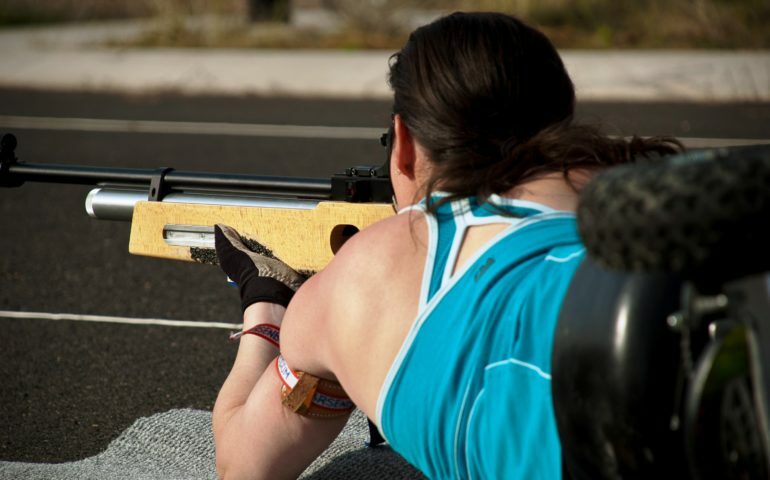 Athletes with arm amputation can use a rifle support when shooting. In Paralympic competition athletes use air rifles on a 10 meter range or audio rifles for the visually impaired.